Budapest is a great walking city. 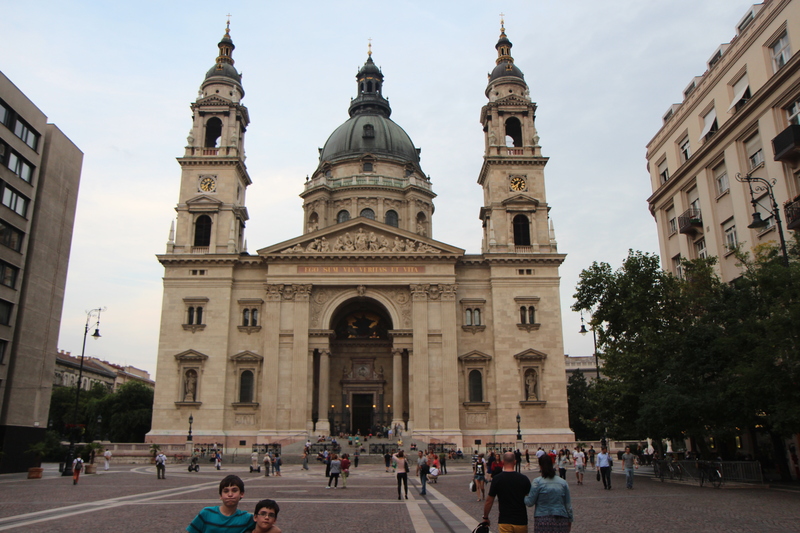 One perfect landmark is St Stephen’s Basilica. We can’t seem to find a real coffee shop in Budapest, around our neighborhood. They were everywhere in Vienna and Germany and we saw a few in Bratislava. However, a fancy, restored Cafe New York with tall ceilings and billboard-size windows is perched on a busy corner near our hotel on bustling Erzsébet körút. (Elizabeth street). 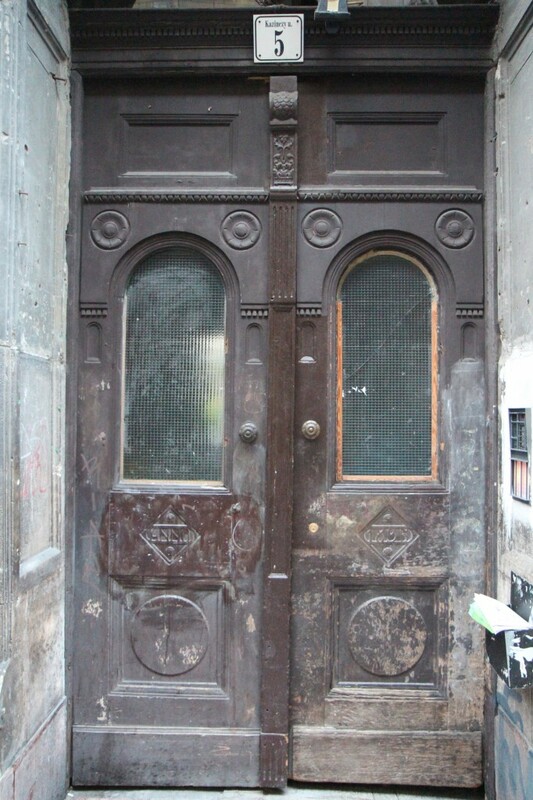 Though Budapest had an “ancient” coffeehouse tradition like Vienna, the Soviets shut most of them down. They were concerned coffee shops would become convenient places to foment revolution discussions. Since the revolution that did come, many of these coffeehouses are being renovated—such as the Cafe New York— to satisfy European desires for afternoon cake and coffee. This is all background to a visitor, except that here you tend to get your coffee from a machine. I run early one morning to the corner bakery, buy some good-looking, unpronounceable rolls and ask where to get a coffee. She points me towards a machine and I think she’s kidding. You put in about 30 cents and select something that sounds like a cappuccino. The small cup drops down into the holder and scalding hot java gushes. You have to hold the cup near the rim and dash back to your place. Later I discover there’s a Douwe Egbert’s machine in the parking garage and that becomes our new coffee “joint”. 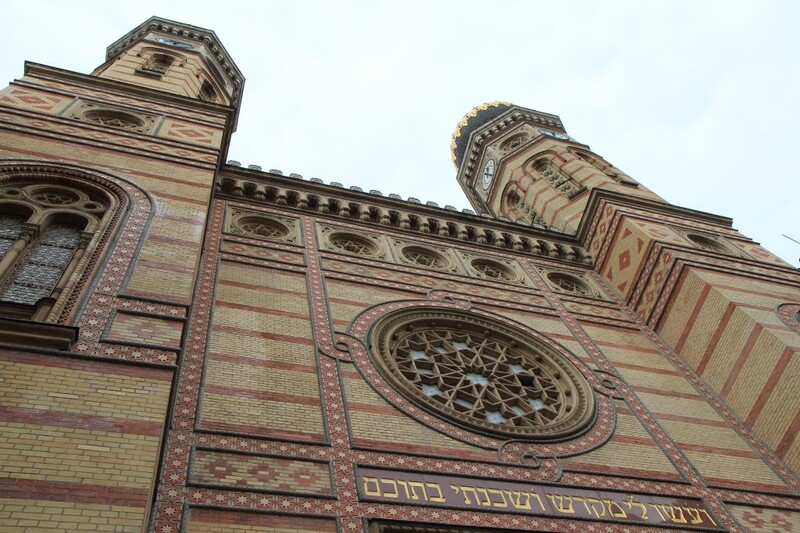 The Budapest Great Synagogue is the second largest in the world. Any guesses on the location of the largest? That’s right, it’s Temple Emmanu-El on 5th Avenue in New York City. 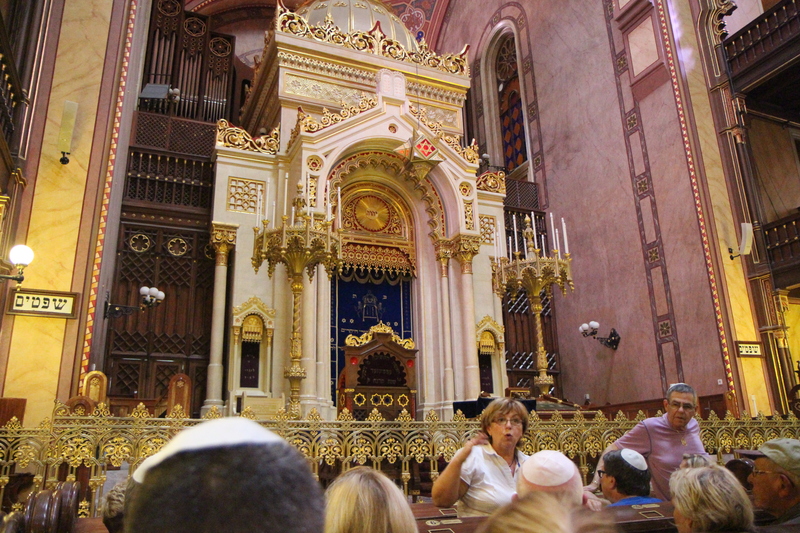 Our guide, tells us that the Great Synagogue was built at a time when the Jewish community was increasingly successful yet seeking greater acceptance from within Budapest society. When the building was unveiled, its critics called it “a beautiful Catholic synagogue” since it did not look much like a traditional Jewish synagogue. 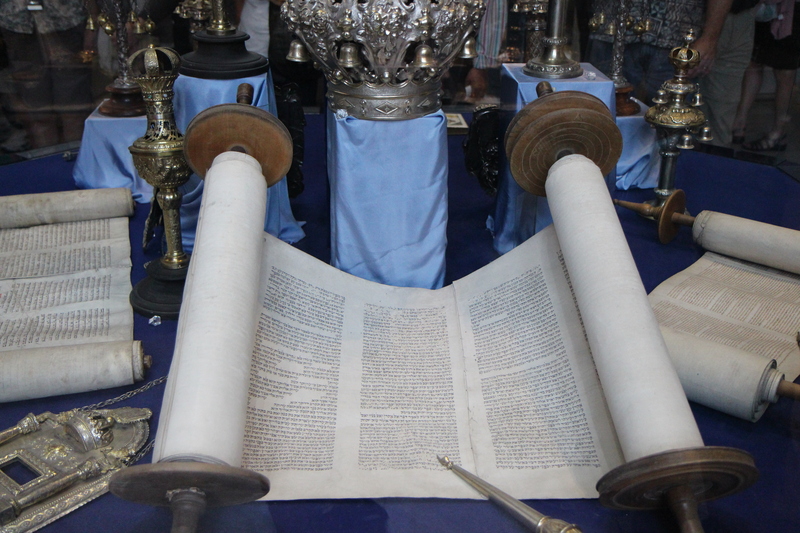 It was consecrated in 1859 and is still active today. If you are not wearing a hat as you enter the synagogue, a man hands the males paper yarmulkes to cover your head. I have to keep replacing mine as I look up and up at the beautiful interior. In early 1941, there were over 800,000 Jews in Hungary, with most of them centered in Budapest. Once the Nazis took over Budapest in 1944 they began deporting Jews to the death camps. 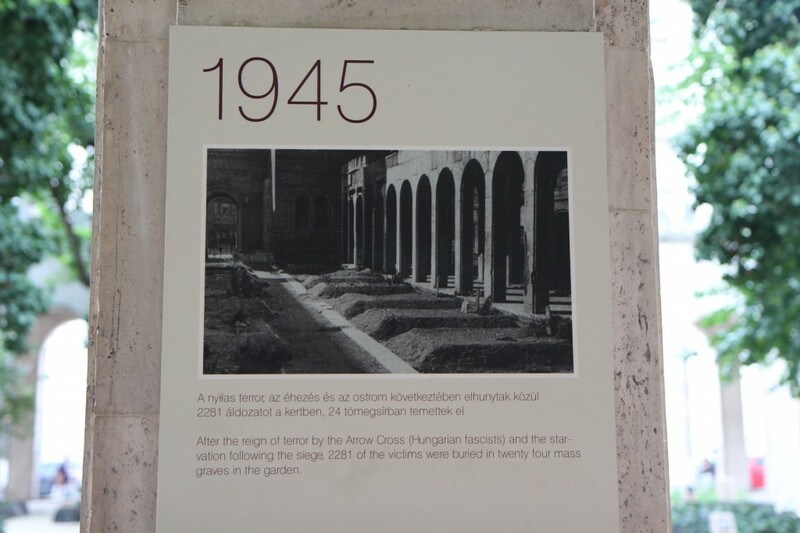 The area around the synagogue held the Budapest ghetto where the Nazis sealed all the city’s Jews behind high walls. They were cut off from the outside world. Food was not allowed in and trash was not removed. The dead lay on the streets. The buildings also became overcrowded, leading the spread of communicable diseases such as typhoid. 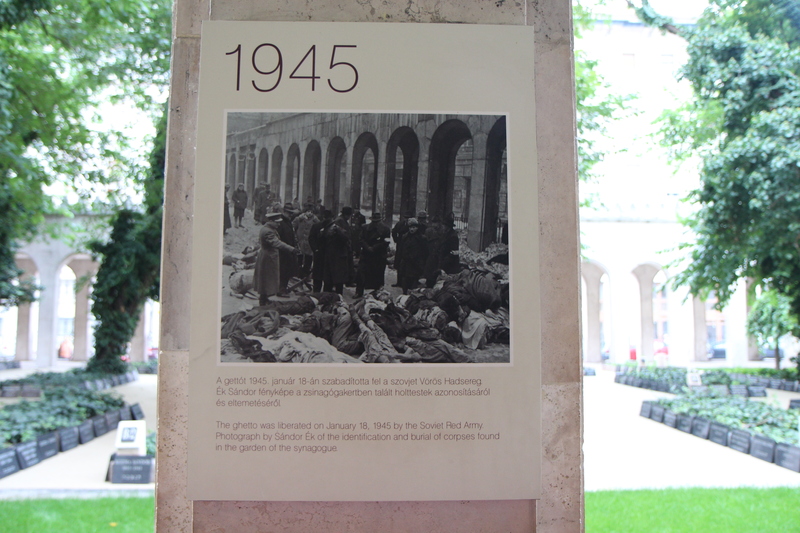 Thus, the courtyard of the synagogue was full of the dead in 1945. 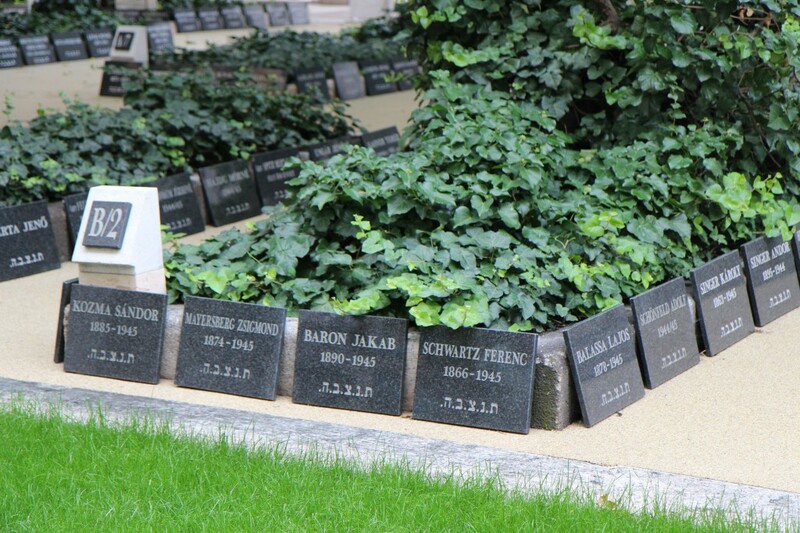 As the caption shows, over 2200 victims are buried in these large graves within the courtyard. By the end of 1944, only about 25% of the Jews survived the Nazis and their ilk. After the war, prominent Jewish benefactors such as Tony Bennett commissioned the Tree of Life in the synagogue’s courtyard. 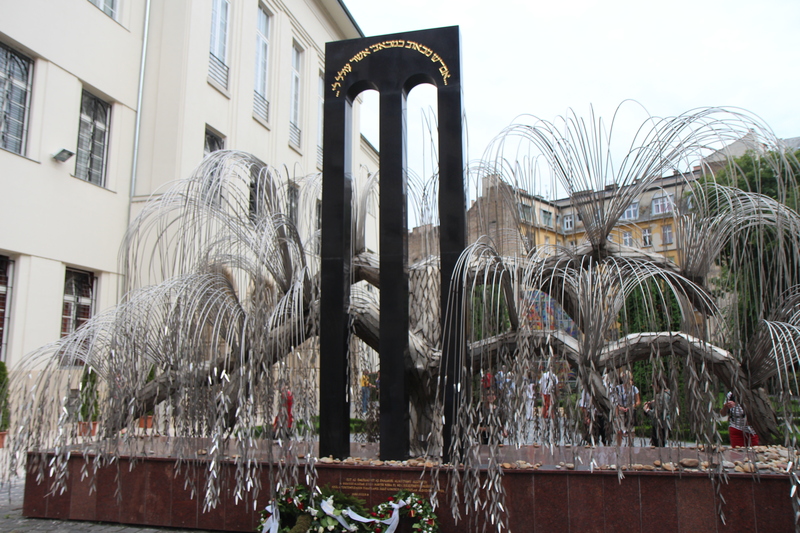 The tree sculpture is designed as an upside-down menorah. 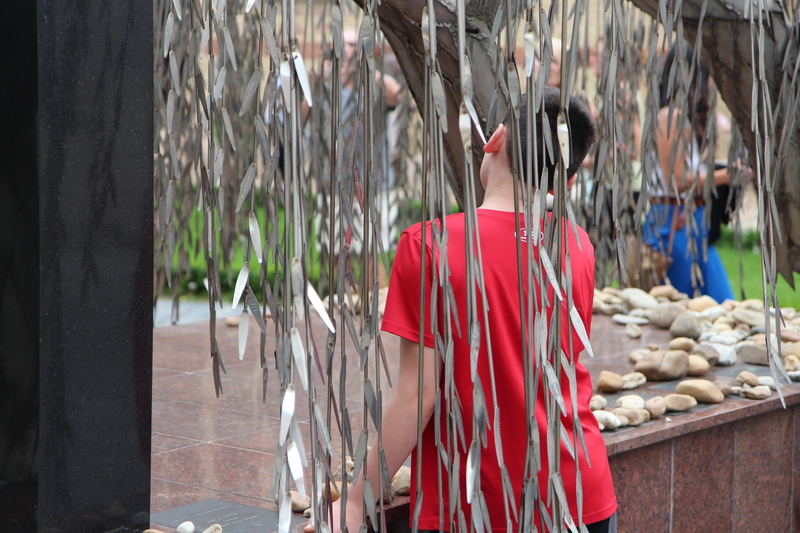 Its branches hold leaves bearing the names of loved ones killed in the Holocaust. 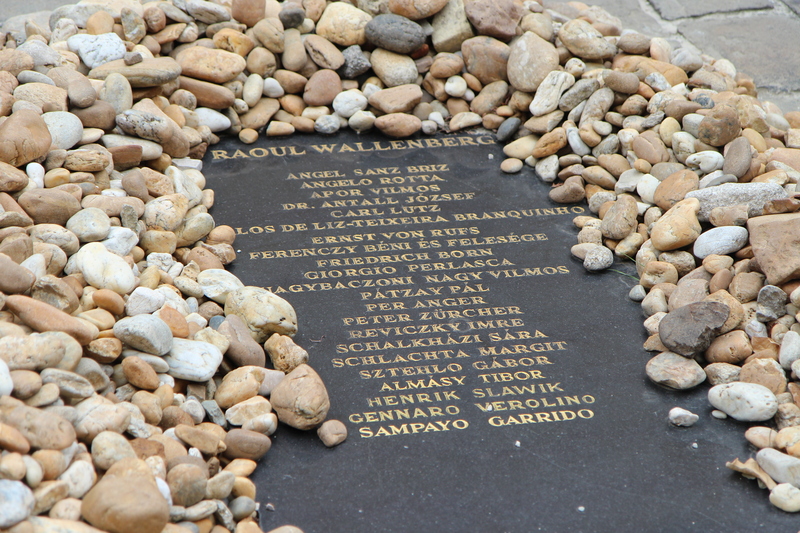 Raoul Wallenberg is commemorated here as Righteous Among the Nations. 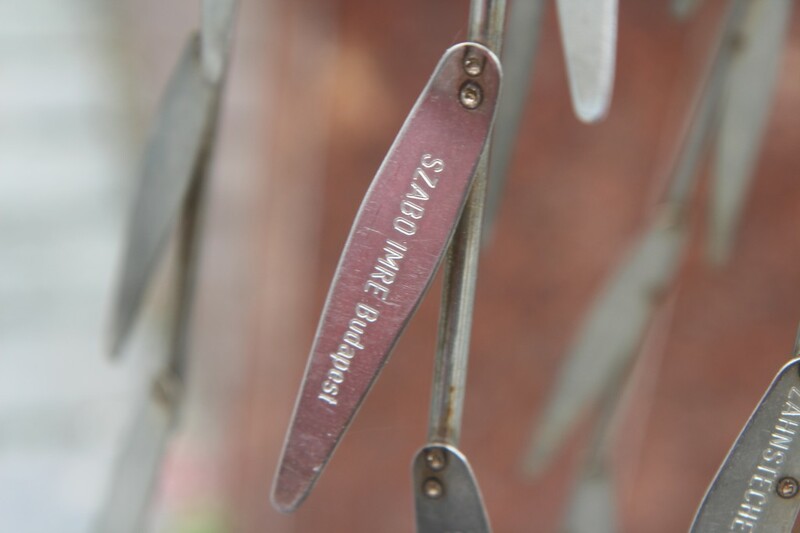 Righteous Among the Nations is an honorary title bestowed by the State of Israel upon those who risked their lives to protect Jews during the Holocaust. 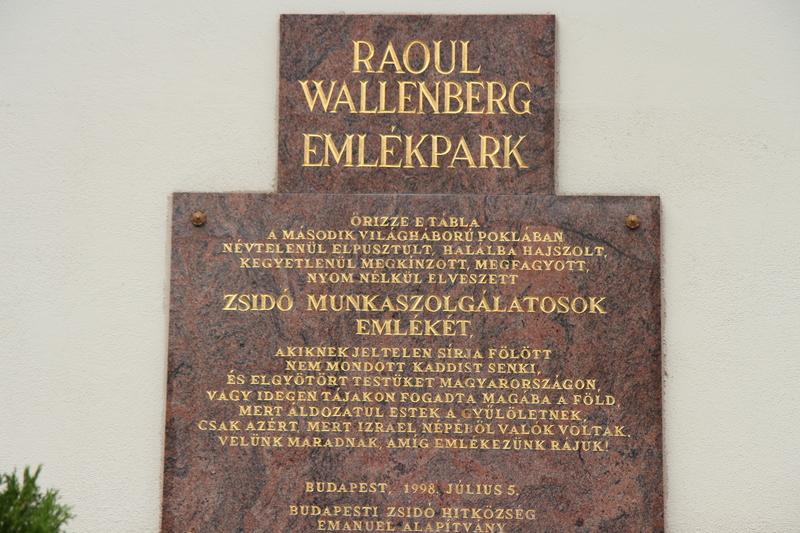 Raoul Wallenberg and Carl Lutz risked it all in Budapest. Though a Swedish diplomat, he was armed only with his bravery and moral courage (as noted on the official Swedish website about him). In 1981, he was awarded just the second honorary citizenship to the USA. There are only seven, and their number includes Mother Theresa and Winston Churchill. Wallenberg was a businessman and diplomat and was made the legation secretary to the Swedish diplomatic mission in June 1944. The USA had created a War Refugee Board charged with getting Jews away from Nazi persecution. 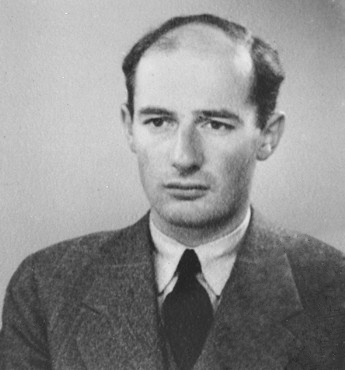 With Swedish approval, Wallenberg’s job was to launch a rescue operation for the Jews. He issued protective Swedish passports and rented “Swedish houses” (“safe houses”) for Jews to hide. He convinced the Hungarian Foreign Ministry to approve 4,500 protective passports then actually issued three times that many. As conditions became more chaotic, he issued passports with just his signature and even this worked amongst the lawlessness. To achieve his objectives, he even utilized bribery and threats of blackmail. When word came that the Nazis would massacre everyone in the ghetto as the war drew to a close, Wallenberg wrote directly to the Nazi general. He wrote the general that if the massacre took place, Wallenberg would personally see that he was tried for war crimes. Wallenberg saved tens of thousands of lives. In January 1945, the Soviets took over Budapest and imprisoned him. Russia claims he died in a Soviet prison in 1947 but witnesses state he may have survived longer. His whereabouts are a mystery. There are monuments erected to his courageous acts in several countries, including five black columns in New York. 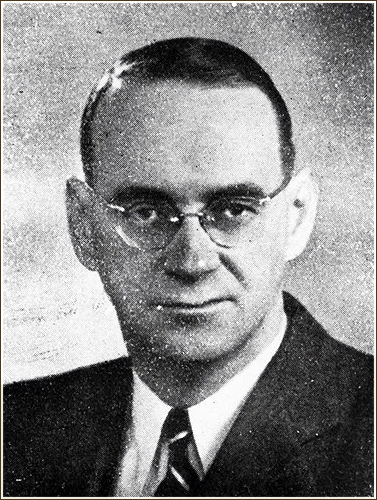 Carl Lutz was appointed as Swiss vice-consul to Budapest in Hungary in 1942. He served as a diplomat in the US for over 20 years then another eight in what was then Palestine. He secured permission to issue 8,000 protective letters then used that decision as legitimacy to apply those numbers to entire families. He was able to issue tens of thousands of protective documents. Nominated three times for the Nobel Peace Prize, he was awarded the title of Righteous Among the Nations. 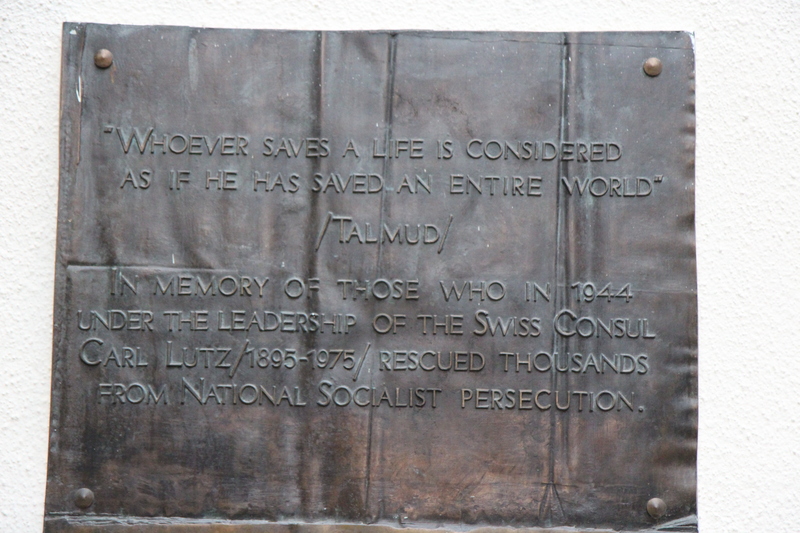 His efforts allowed 10,000 Hungarian Jewish children to emigrate and he is credited with saving over 62,000 Jews. 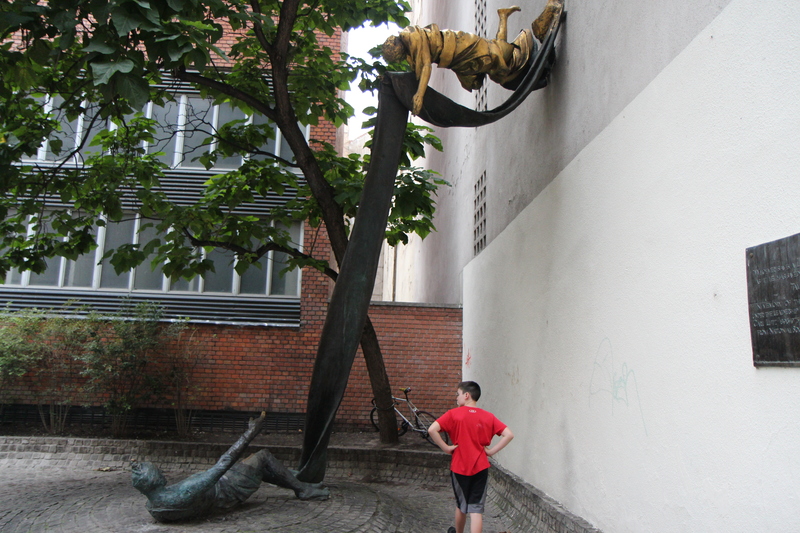 We stumbled across this monument to him in the streets of Budapest. The old Jewish quarter is now famous for its “ruin pubs”. You step through a low archway and a courtyard opens before you. These pubs have multiplied and are hopping on a Friday night. One night, I get a haircut at the tiny, brightly lit place across the narrow street from our hotel. It stays open late and has that ambiance of men hanging out near the doorway, like we do at barbershops all over. Arabic wall hangings adorn the walls and the place thumps with loud pop music. My barber is really friendly and is Algerian. His English is very good, he also speaks Arabic, French and Hungarian. There are other men cutting hair there and another man in his 20’s (?) who sits right near the barbers and talks to them in Arabic while watching videos on his phone. With all the coverage of the atrocities in recently released internet videos and a few blurbs I try not to see on his device, I’ll admit to hoping they are not of the violent kind. My barber has closely cropped hair and pays close attention to his handiwork even while we talk. All of the other discussions in the shop are in Arabic. He is constantly smiling and the door stays open to the busy street. There are not many customers. He tells me how he and his wife will move back to Algeria soon. I ask if she speaks the language and is ready to move. He laughs and says that she will go wherever he goes. The next night, I take the boys to the other barbershop on our side of the street. We discover these barbers are all Iraqis. They are also very friendly and have Arabic wall hangings. They don’t seem to have anything to do with the Algerians across the street. My barber left Iraq about 1989 and he offers no other conversation on that topic. Two young men, in very Western clothes, are being very specific about how their hair needs to be perfect. One of them is sporting a very tight shirt and can’t take his eyes off the mirror. Their requests are all in English. We open our windows for air at night and definitely get to sample the sounds from the nightclub across the street. One night a large group protest moves down the street chanting. The group moves down the street and around the corner. Their joined voices come in through a different bedroom’s window as they round the corner. We don’t know what they are protesting but they sure have our attention. They finally disperse and we are left with the normal city sounds to fall asleep to. You really get the sense this is a cosmopolitan city where people can afford to live and work and strike out from their old countries. 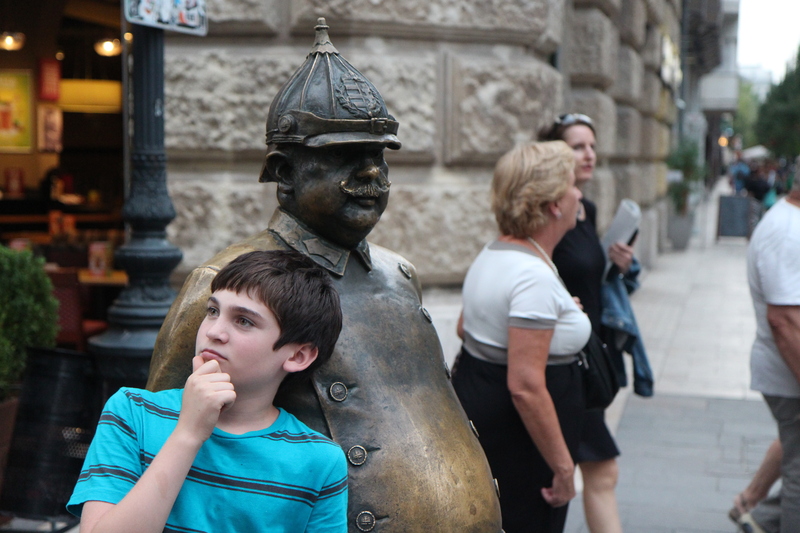 Great history lesson and insight into life in Budapest! Thanks for another great history lesson! Wow please let me know when the book/books come out. I think you found a new occupation. Writer! Brent, great history tour! I absolutely loved that “Tree of Life” sculpture. It is so beautiful and communicates that through all those lives that were horribly taken, now stands a tree firmly planted on their faith and giving live to all of us. Just beautiful!